Acupuncture is the practice of inserting hair-thin needles into strategic points on the body to assist in overcoming pain, restriction, and illness. There are many different styles of acupuncture that entail different techniques and likely different mechanisms. In general, the healing power of acupuncture involves removing obstructions from within the body so that it can function with greater ease and fluidity. Although the use of acupuncture in treating a multitude of conditions has been proved effective, research has not yet yielded answers to its mechanism of action. Modern theories suggest that healing is stimulated by the interaction between acupuncture needles and the connective tissue network. This theories argues that by accessing and manipulating the connective tissue cellular changes can occur both locally and throughout the body. In addition many acupuncture points exist at neurovascular nodes which are concentrated areas of blood vessels and sensory nerve fibers. 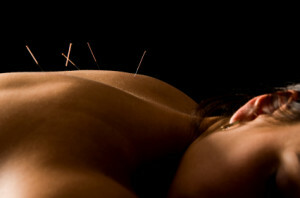 Acupuncture has also been shown to trigger the release of endorphins, which can aleviate pane and relieve stress. Many people feel nervous the first time they receive acupuncture, because they have a negative association with needles. They quickly find that acupuncture needles are very different than the hypodermic needles used to for injections or drawing blood. Acupuncture needles are tiny and are rarely painful when inserted. Once the needle is in, you may feel a slight aching sensation, tingling, spreading, or perhaps no sensation at all. Most people find acupuncture treatments to be relaxing and rejuvenating. Children and pets can receive acupuncture without difficulty.